The Lowepro Pro Roller x100 Case (Black) is a water-resistant 1680 denier ballistic nylon mobile studio designed to carry 1-2 pro D-SLR cameras with grip plus 4-6 lenses and accessories. It has a Reserve Pack backpack insert that unzips from the roller case. 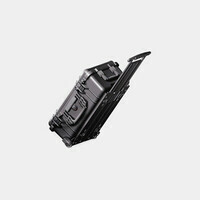 A zippered front panel secures the hard case for storage while it is in use. There is a Hideaway Tripod Mount that secures a tripod two ways at the front or side of the case. 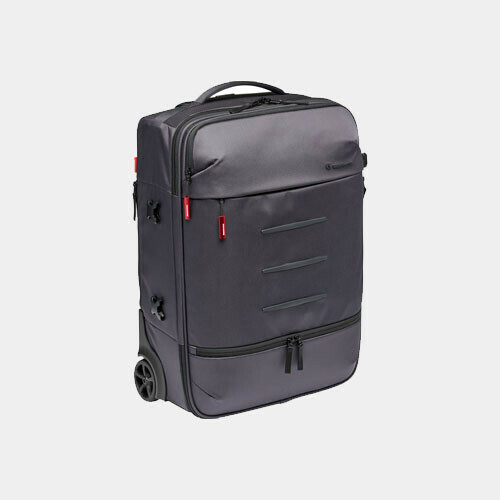 The Pro Roller x100 case has a zippered laptop pocket that holds a computer with a screen up to 14".